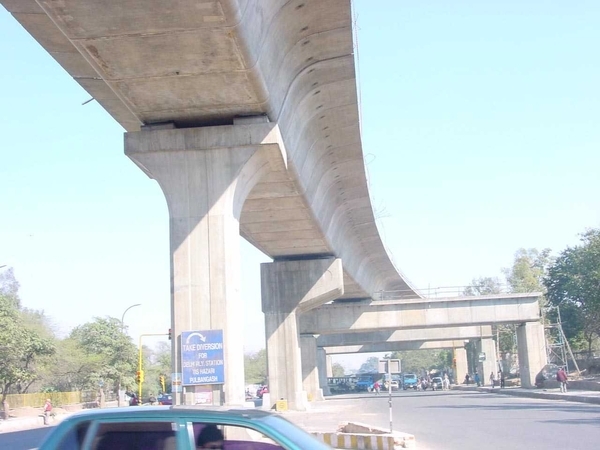 Detailed Design Consultancy for Elevated Viaduct covers the 22 km distance from Connaught Place to Dwarka through the most crowded areas of the city. 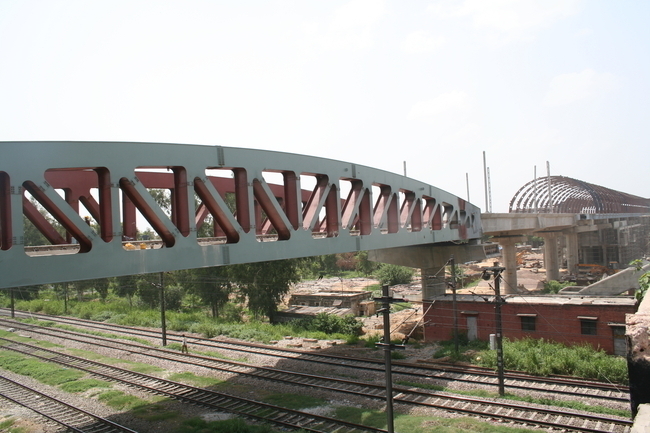 It includes 20 stations and bridge across Najafgarh Drain. 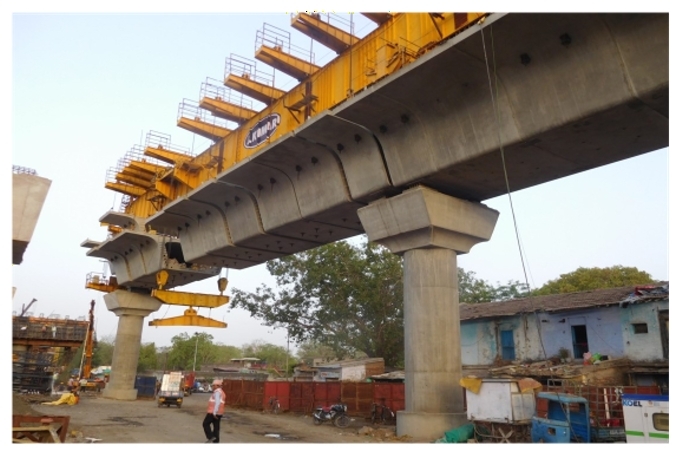 Precast segmental U-girders have been adopted. Off-road buildings for the 20 stations en route have a striking appearance. 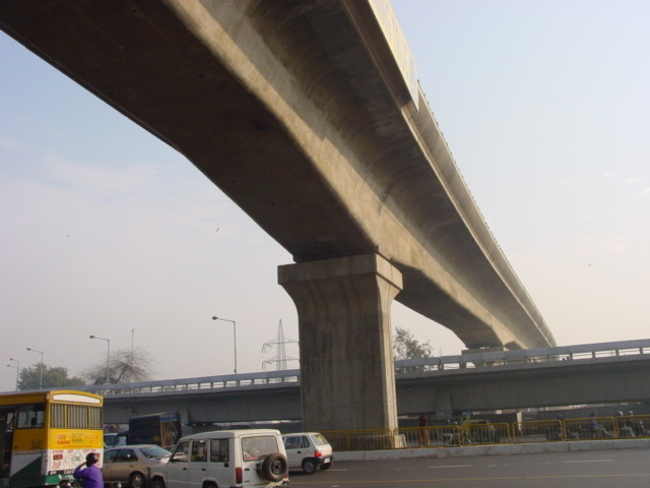 Earthquake resistant features, aesthetics and durability of the viaduct and stations were given special considerations. 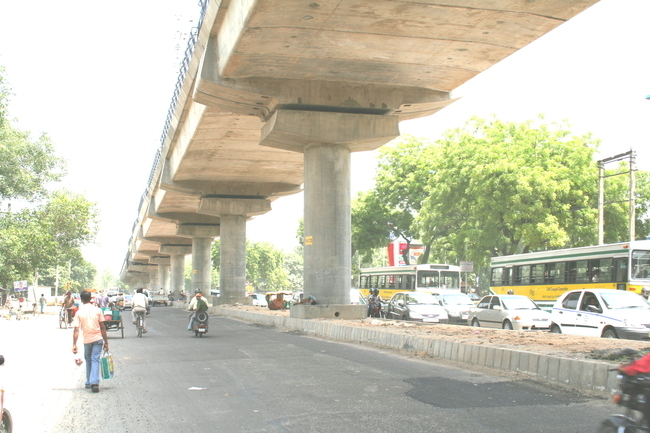 The Elevated Viaduct of the Shahadara-Rithala Line of Delhi Metro has typical standard spans varying between 21.6m and 29.1m determined mainly by the site constraints at ground level for the placement of foundations and piers. The length of standard segments is 2.5m. All precasting was done at a centralised casting yard. The alignment is characterized by sometimes-tight curvatures as it snakes through some of the most crowded areas of the city. It has several breaks at the location of stations. 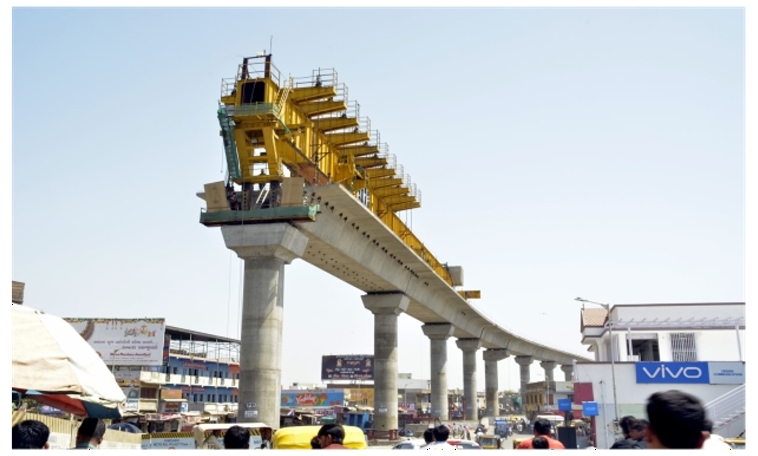 The 2 tracks (unballasted) are supported on a single box girder section whose deck is sloped inwards to enable controlled drainage through the pier. 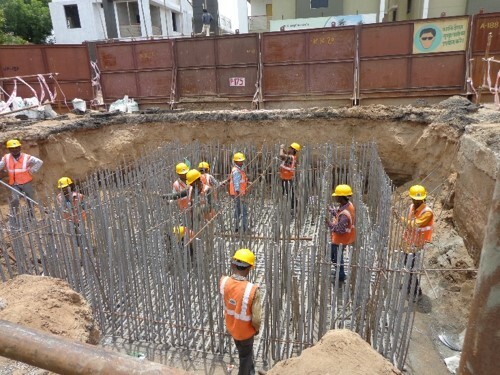 The foundations are bored cast-in-situ piles constructed by hydraulic rigs. The stratum is sand-slit or silty sand with some areas susceptible to liquefaction upto a depth of 10.0m during seismic activity. The piers are architecturally shaped, cast in a single pour to obtain the anticipated finish. The clear height of 5.5m in the carriageway portion of the ground level roadway is always available. 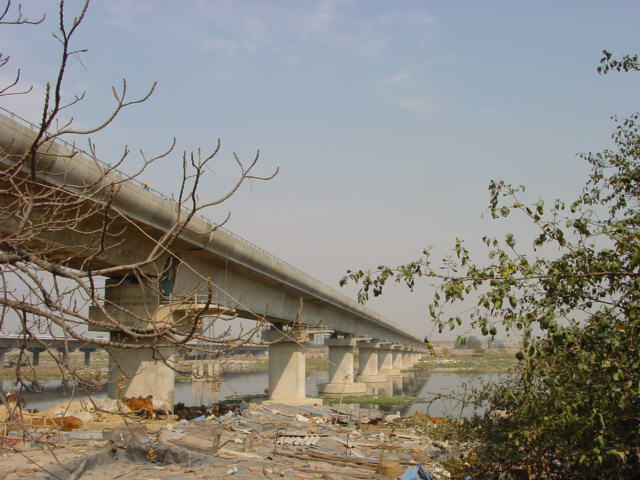 One of the most important bridge structures in Delhi Metro’s elevated corridor is the 652.6m long Bridge across Yamuna River, connecting the populated areas on the east and west banks. The bridge is incrementally launched from the east bank (pier P14) over 12 spans of 46.2m making a continuous length of 554.4m. The bridge has a longitudinal gradient of 0.654% with the higher end located on the east bank. 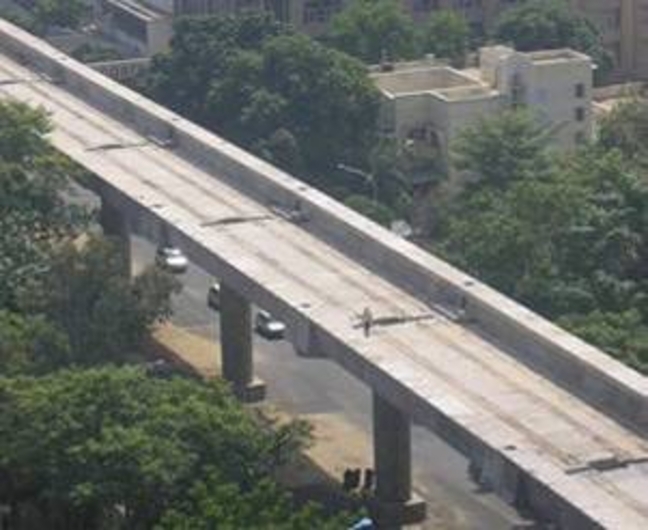 The prestressed concrete box girder consists of internal prestressing permanent cables while those required for the temporary phase are external to the concrete. 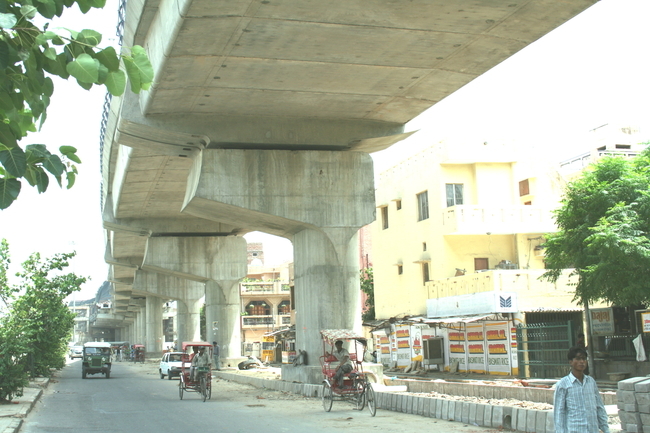 One single box girder supports two unballasted tracks for the "up" and "down" traffic. The tractive/braking forces and also the entire longitudinal seismic force are transferred to the restrained pier P14. The transverse seismic force is transferred at each pier location through Pot Bearings. Contract No.NC -02: Design of of elevated viaduct and 7 elevated stations viz. 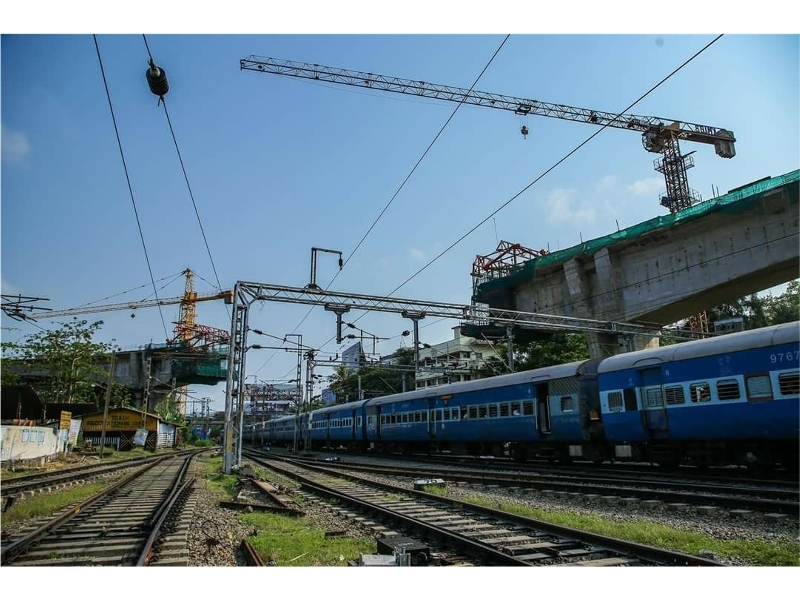 Sector 142, sector 143, sector 144, sector 147, sector 153, sector 146 and sector 149 including architectural finishing works of stations from chainage 9038m-19318m of Noida-Greater Noida Metro Project. Contract No. NC-03: Design of elevated viaduct and 6 elevated station vis. 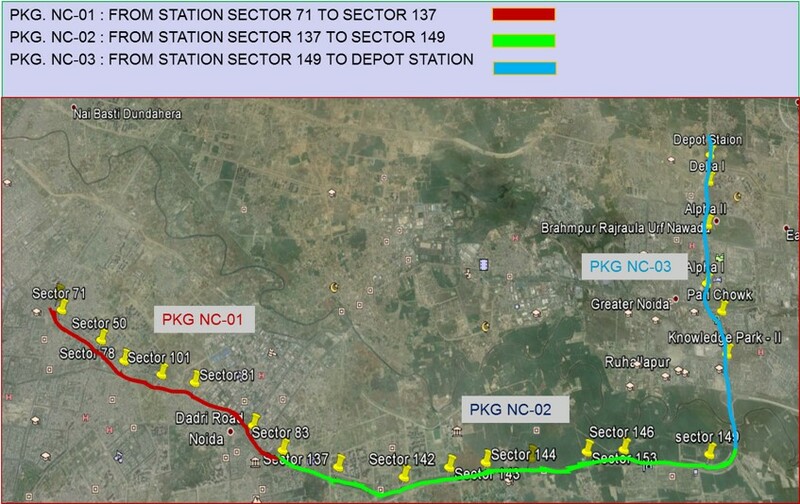 knowledge park ii, Pari Chowk, Alpha1, Alpha 2, Delta 1, Depot station, and connection to depot including architectural finishing works of stations from chainage 19318m to 29567m of Noida-Greater Noida Metro Project. · Span Configuration:- 65m +90m+65m. 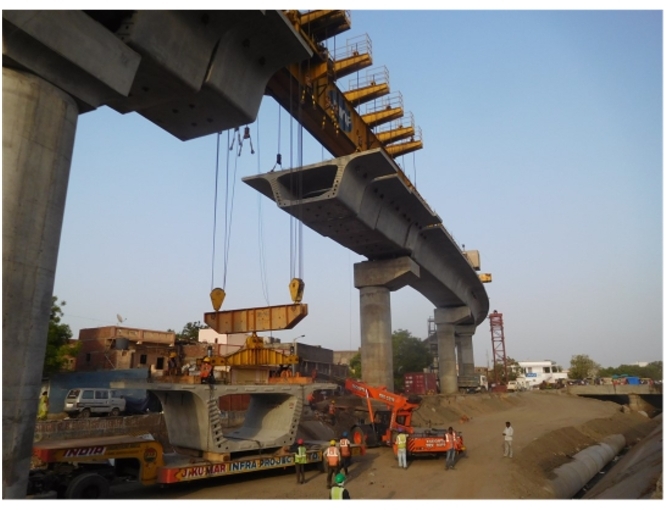 · Depth of superstructure is 6.5m at support and 3.0m at center of span. 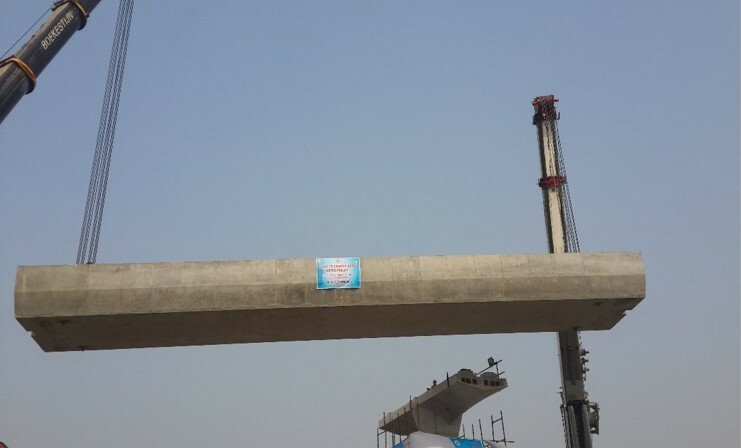 · Intermediate piers are integral to superstructure. · Soil is liquefiable upto 16m depth followed by clay layer. 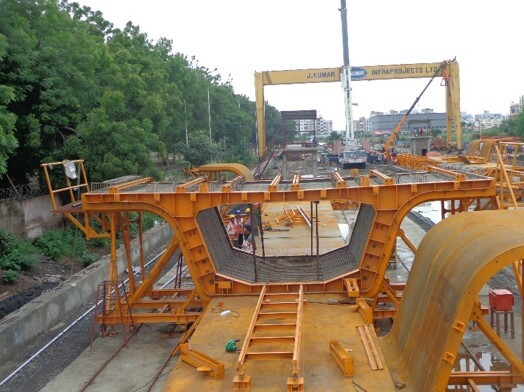 Pile length of nearly 58m is provided. 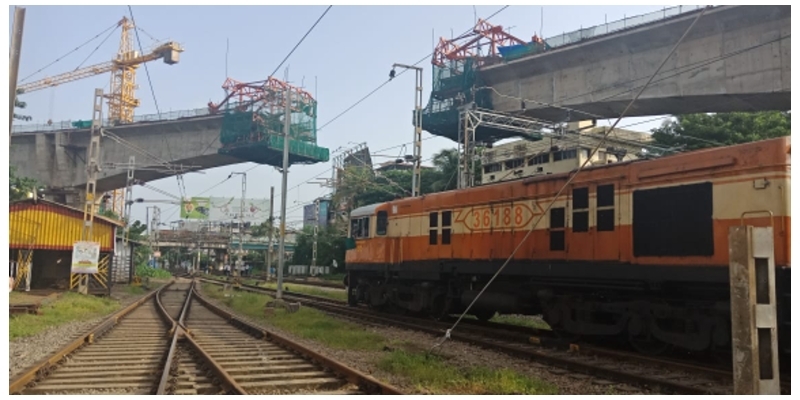 · Cast-in-situ cantilever Superstructure construction over railway line near Ernakulam South Station, Kochi. Both end span is constructed first on ground supported staging. Central span starting from both intermediate is constructed using form traveller simultaneously.